I read this article and found it very interesting, thought it might be something for you. 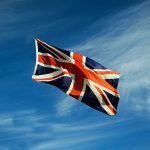 The article is called Flying the Flag – Now is a great time to start a new business in Britain and is located at https://www.rocketlawyer.co.uk/blog/rocket-round-up-flying-the-flag/. When a family decided to Buy British for a year, they found lots of gaps in the market but also lots of interest in supporting British entrepreneurs from consumers. So get ready to sell your product, make your business plan, create your funky website and don’t forget to have your term and conditions clearly stated. Check these ten tips from Inc on what to do and what NOT to do when starting an online business and good luck! Do you need to be rich to start your own company? Well, it does help some people but, as this article suggests, the biggest drivers for success are self-confidence and exposure to the knowledge on how to build your own business. Rural startups are thriving, according to recent research. Startups are no longer a phenomenon of the city. The FT blog features some great examples of out of town small businesses. If you want to take the plunge into running your own business but you’re already in work, do you pack in your job to pursue your dream? It might be more prudent to keep the day job for a while longer, according to this sound advice from Mashable. Have you got an employment law question you need answering? Rocket Lawyer has teamed up with legal specialist PJH law to answer the top Employment law questions we get asked. You can post your employment law questions this week on our Facebook page and view responses on our webcast which will be available on the FB page from 11am on the 23rd September. Harvey Harding from PM Law has some good advice for new entrants to the buy to let market whether you’re an investor, an reluctant landlord or a ‘good parent’. Find out more here. How safe are your passwords on the Internet? Turns out it’s surprisingly easy to guess someone’s passwords. Are you making it too easy for the hackers? Here’s some great tips on creating great images to market your food or drink products on social media sites like Facebook or Twitter or for a business blog. Speaking of business blogging, entrepreneur James Caan suggests five ways to make sure your blog is a success. We love a bit of history and here’s a great post from Tech City News about the changing face of Old Street and the transformation of RLUK’s local area of Shoreditch.